*By entering this site, I am certifying that I am above the minimum legal smoking age where I live. I understand that I must be at least 18 years of age to enter but if I live in an area where the smoking Age is over 21, (example California) I understand that I must be at least 21 years of age to enter. Vaping offers smokers an alternative and safer way to consume nicotine. Though electronic cigarettes, smokers can still get the same chemical fix minus the harmful chemicals that come with smoking tobacco. Smokers who are used to a moderate lung and throat hit can be satisfied with NICMAXX 6 mg e-liquid. E-cigarettes supply us with nicotine by atomizing a solution called the e-liquid. E-liquids contain propylene glycol (PG), vegetable glycerin, nicotine, and artificial flavoring. The mix gives us a flavorful vape experience, with a stimulant hit proportional to the amount of nicotine in the solution. 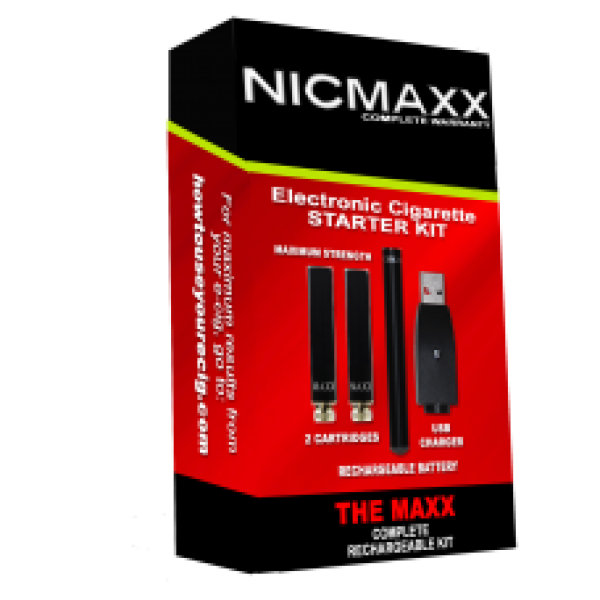 NICMAXX offers e-liquids in varying nicotine strengths: 3 mg, 6 mg, 24 mg and 36 mg. We only use tobacco and menthol flavors in our e-liquids, giving users the classic crisp taste associated with actual tobacco cigarettes. While other brands offer experimental flavors based on desserts, candies and fruits, we stick to tried and tested tobacco and menthol to give our clients a vaping experience similar to smoking. The NICMAXX e-liquid formula has been calibrated to create a pleasurable vaping experience. The PG-VG ratio of our solution produces the sufficient amount of vapor and keeps the flavors of the vape distinct and sharp. We also infuse this mix with high-grade nicotine guaranteed to stimulate smokers with every drop. Vaping experts advise users to buy USA-made e-liquids from trusted brands to ensure the quality of the vape juice. Vapers will not be disappointed with NICMAXX e-liquids. We are a brand preferred by 9 out of 10 smokers for making quality vapes since 2007. For first-time vapers, the 6 mg e-liquid is a safe starting point. This level of nicotine strength provides the same hit as a mild cigarette, and can satisfy the cravings of smokers who smoke half a pack per day or people who are used to chewing tobacco. A 6 mg nicotine juice gives a subtle throat hit recommended for people who react harshly to heavy nicotine dosage. The light amount of nicotine is ideal for vaping while chilling and satisfying a mild nicotine habit. All NICMAXX products are developed through extensive research and customer feedback. Our decade-long experience in the e-cig industry has taught us how to effectively help smokers quit and turn to vapes. The secret is using bold and full flavors that remind our users of what feels to smoke real tobacco. NICMAXX e-liquids are packaged in childproof bottles to avoid accidents involving children and pets at home. Our e-liquids are reasonably priced and work best with other vaping accessories sold by NICMAXX. Try NICMAXX vapes and get the nicotine hit you deserve. Discover why 9 out of 10 smokers choose our brand. We deliver anywhere in the US. Shipping is free on orders over $75! Nicotine is an addictive substance. California Proposition 65 Warning: This product can expose you to chemicals including nicotine, which are known to the State of California to cause birth defects or other reproductive harm. For more information go to www.P65Warnings.ca.gov. This product has not been approved by the U.S. FDA or the Office of the Surgeon General as a cessation device and therefore should not be used to quit smoking. This product is not intended to diagnose, treat, cure or mitigate any disease or medical condition. Do not use this product if you are under the legal age of smoking or if you are sensitive to nicotine or inhalants. Do not use this product if you have or if you are at risk of having any respiratory conditions, heart disease, high blood pressure or diabetes. Consult your doctor before use if you have any medical conditions. Do not use this product if you are pregnant or nursing. Discontinue use of this product immediately if you experience symptoms such as nausea, dizziness, a weak or rapid heartbeat, vomiting, diarrhea or any other negative physical symptom. If any of the aforementioned symptoms occur, seek medical attention immediately. KEEP THIS PRODUCT AWAY FROM CHILDREN AND PETS. Copyright © 2014 inLife, LLC. All rights Reserved.